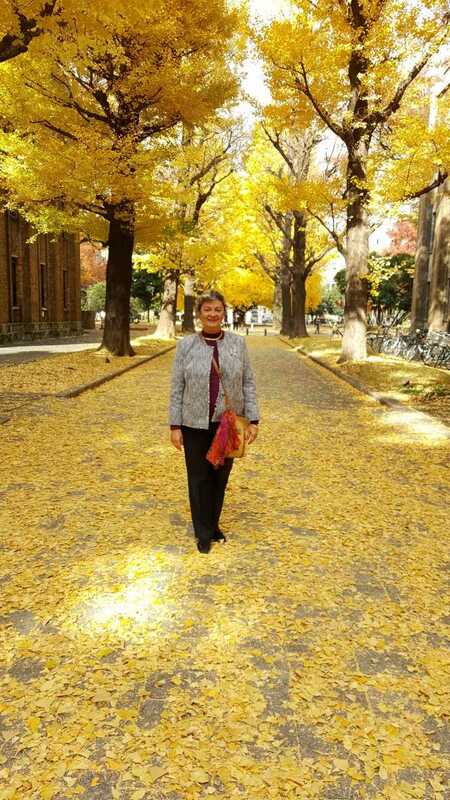 Dr. Hermina Anghelescu is finishing her semester as a visiting professor and an exchange scholar at the University of Tsukuba, School of Library, Information and Media Studies. In addition to teaching the International and Comparative Librarianship, she has been involved with the library community in Tokyo. In November she gave a presentation at The Libraries of the Future Research, Inc., a Tokyo-based NGO. The title of her presentation was: Coming Out of the Cold War: from Censorship to Globalization in Romanian Libraries. Most recently, in December, she gave the keynote address at a national conference titled The Concept of School Librarian in the Future: What Competencies Should We Nurture? Both events were well attended by librarians and LIS faculty members from various universities in the country. Anghelescu also met the LIS students of Rikkyo University in Tokyo where she gave a brief talk. While in Japan she has been visiting public and academic libraries and the National Diet Library. So far, her favorite is the library of the Akita International University (http://web.aiu.ac.jp/en/campuslife/nakajima-library/), "the library that never sleeps." The library is open to students and to the residents of the city of Akita. 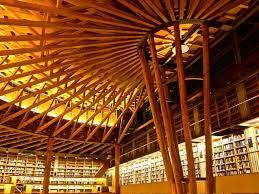 It's a green library, built with local materials, mainly Japanese cedar. The umbrella-shaped building is an architecture award-winning library where students enjoy studying and spending time together.